Real Madrid icon Michel Salgado is the director of the Spanish Soccer Schools in Dubai. The first term at the Spanish Soccer Schools may be nearing full time, but now is the perfect opportunity to sign your kids up to term two, which takes to the field in the New Year. Now in its sixth season, the Spanish Soccer Schools kicked off in September and the whistle will blow to end the first term on December 14. But parents can sign their budding stars up to be trained under the guidance of experienced coaches, including former Spain international and Real Madrid legend, Michel Salgado. Term two begins in January 2019 and will run until May, with specific dates to be determined. Aspiring footballers aged five to 15 can learn from experienced coaches at the Spanish Soccer Schools, which is based at Dubai Sports City’s state-of-the-art football facilities. The school uses the Spanish model of football that saw Spain’s national team lift consecutive European Championships in 2008 and 2012 (the first ever team to win the tournament back to back) and the World Cup in South Africa in 2010. The School’s holistic philosophy ensures that children’s all-round development needs are met through sport. Footballing skills aside, the Spanish Soccer School also teaches to kids the importance of sporting values, team spirit and togetherness. 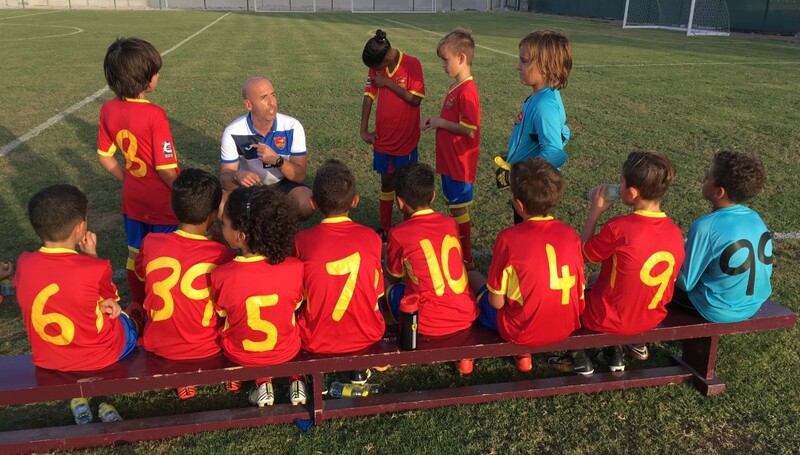 Speaking about the new season, Spanish Soccer Schools’ Dubai director Salgado said: “We are going into our sixth season of Spanish Soccer Schools and it’s been great to see it progress. Located in the heart of Dubai Sports City, the football academy has a fully air-conditioned indoor dome with a natural grass pitch as well as an outdoor pitch with artificial grass. It also has Kickers Bar and Champs cafe for parents to stay entertained while their kids are training. Days and times vary on each age group, refer to the website for more information. Prices range from Dh2,000 per week, per term. Grasp a tremendous opportunity to not only be coached, but also be developed in football and in life by some of the best and most passionate coaches/educators from Spain, right here in Dubai. For more information, email [email protected], call 04 448 1555 or visit the school’s website at www.spanishsoccerschool.com. 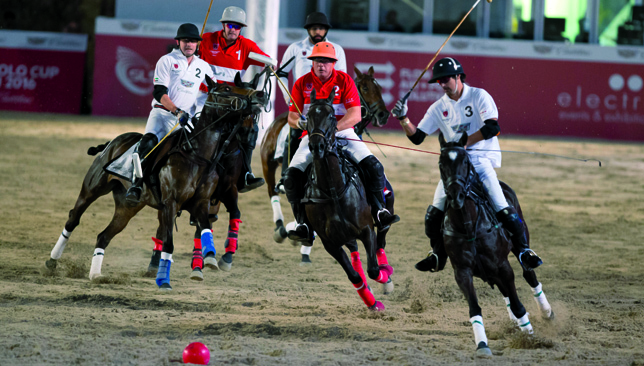 Visitors heading to the Tonino Lamborghini Residences Dubai Beach Polo Cup Dubai 2018 next month can get into the festive spirit early thanks to the tournament’s first-ever Christmas Market. The tournament, on December 13-14, will be packed full of unique and stylish gift ideas. On offer will be items ranging from arts and crafts, jewellery, holiday gifts and toys to home décor and health and wellness products. The tournament returns to Dubai Harbour (formerly known as Skydive Dubai) and for the first time, there will be free admission to the Shams Public Zone with fans needing to register online at www.800tickets.com beforehand to get their pass. Along with the Christmas Market, there will be food outlets and premium beverages available plus free entry into the legendary after-parties concluding both days of polo action. If visitors are looking to make it an extra-special polo weekend, tickets to the VIP Majlis Zone are also available to purchase via www.800tickets.com and include F&B and premium beverages. On Thursday, December 13, the doors will open at 7:30pm with the VIP red carpet from 8-9pm and the opening ceremony followed by the first match from 9pm. Once the final chukka has been played, the fun continues with an after-party in the Majlis Zone from 11pm. Friday is finals day with the doors opening at 4:30pm, the VIP red carpet from 5-6pm and the semi-final starting straight after the opening ceremony at 6pm, just as the sun begins to set. Guests attending finals day will also be treated to spectacular entertainment including a half-time show and fireworks. The winning team will be presented with the iconic trophy just before the tournament’s closing after-party in the Majlis Zone from 10pm, which is again open to all fans. For further information and ticket details for the Beach Polo Cup Dubai 2018, visit www.beachpolocup.com. For budding entrepreneurs, there are a limited number of stalls still available to rent at the tournament’s Christmas Market. For further information visit www.beachpolocup.com/christmas-market. WHAT: Beach Polo Cup Dubai 2018 Christmas market. WHERE: Dubai Harbour (formerly known as Skydive Dubai). Registration is still open for the Fujairah Run, taking place this Friday, November 23, being organised by the National Bank of Fujairah PJSC (NBF). Taking place in the scenic emirate of Fujairah, the race is being held under the patronage of His Highness Sheikh Mohammed bin Hamad bin Mohammed Al Sharqi, Crown Prince of Fujairah. The runs include a 3km fun run, as well as 5km, 10km and a new 11km mountain trail route. There are male and female categories across junior and adult divisions for all distances. A brand new addition to the event this year will be a new category for people of determination, which will be free entry for these participants. Trophies and medals will be awarded to the top five winners across each class. In addition, great cash prizes totalling Dh245,000 will be awarded to UAE residents and nationals that come out on top in the 5km, 10km and 11km races. Run with a view this December. Valid UAE identification cards will be required in order to receive the awards. Details regarding exact reward amounts can be found online. Everyone who completes the run will receive a special medal for participation. The run also promises fun for the entire family, with a variety of entertaining activities split into four zones. During the run, participants will experience Fujairah’s history and natural beauty with the run set against its spectacular sandy beaches and the rocky Hajar Mountains. The 11km trail run will be a first not just for Fujairah but for the whole of the UAE, as it is the first competitive run route to take place directly through a mountain range. 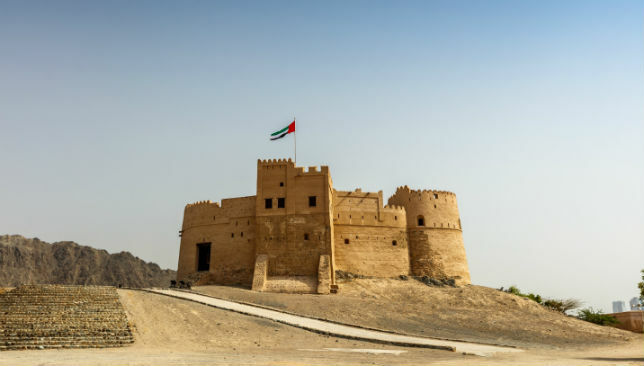 Other prominent landmarks covered in the routes include a 17th century-fortress and the Sheikh Zayed Mosque, the second largest in the country. 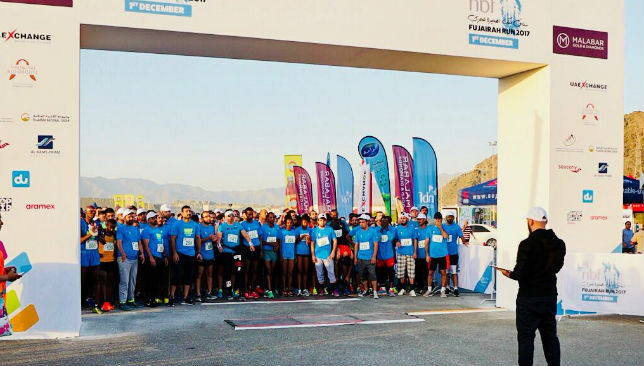 Commenting on the return of the event, Vince Cook, CEO of NBF, said: “We are thrilled to be back and I am personally looking forward to seeing our second NBF Fujairah Run get underway as we welcome back our running community who continue to seek the next challenge. “We are grateful for this year’s returning runners who make this event a possibility and are excited for the new participants to experience not only the health and lifestyle benefits that running brings but, also most of all the chance to see first-hand the unique cultural heritage and historic scenery of Fujairah. “I am particularly excited by the addition of two new and exhilarating run categories, the 11km mountain trail route, which will be a truly unique scenic experience for those competing, and one for people of determination who show great courage in their own lives on a daily basis. Registration for the event is still open for individuals, families and businesses. Registration closes on Wednesday, November 21, at 23:59. Visit https://nbf.ae/en/nbf-fujairah-run to register and for more information.